This week NASCAR rolls Southwest to the great state of Texas to race at the Texas Motor Speedway. For those who have never been in this part of the country, the race trace sits approximately 15 miles to the Northwest of DFW airport. With this race being the penultimate of the 2018 season, action will be heating up this week. Several drivers are in a must-win situation, which now puts them in desperate times. Remember that there is a saying that desperate people will desperate things in desperate times! 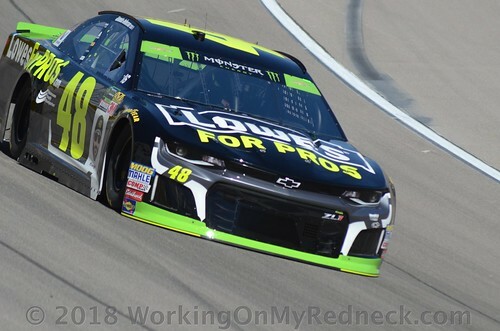 This week we have three drivers headlining our choices for the AAA Texas 500 that have amassed a rooting section of three players each. Could this be the race where Kurt Busch punches his ticket through to the championship race at Homestead? Well, three players, Kathy The Church Forecloser, Edie The Las Vegas Super Star, as well as Amber The Extremely Lucky Cheddar Head are 100% behind Kurt this week at Texas. Meanwhile, Kilimanjaro Bobby, Carlton The Doorman, as well as Leon Your Most Humble Sheriff are locking arms and hoping that they can hear the siren sound atop of the Dawsonville pool hall in Dawsonville, GA, sound when “Awesome Bill From Dawsonville’s” kid, Chase Elliott, takes the checkered flag at TMS. Jeremy The Coach, Zee, aka Sissy, as well as Dan The Numbers Cruncher are firmly behind Mr. Seven-Time, Jimmie Johnson, this week. Additionally, there are three drivers who have a pair of rooters each at Texas. To begin with Linda R. The Lemonade Lefty and Jerry The Buschwacker are pairing up in their support for a huge underdog in the Playoffs, Aric Almirola. Likewise, Snoopy Dawn and Jim, aka Chiefy are joining forces this week to root for the zany Clint Bowyer. Lastly Karen The Highly Opinionated Southern Belle and Ol Skid-Marc will be riding shotgun at Texas with “Blazingly Bad” Brad Keselowski. This week we have six players that are in bidnez for themselves!